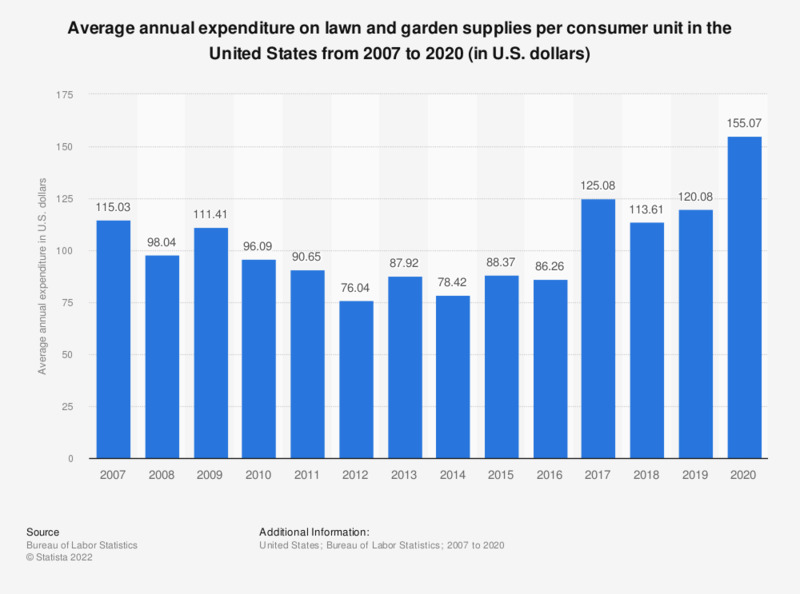 This statistic shows the average annual expenditure on lawn and garden supplies per consumer unit in the United States from 2007 to 2017. In 2017, the country's average expenditure on lawn and garden supplies amounted to 125.08 U.S. dollars per consumer unit. Statistics on "DIY, home improvement and gardening market in Italy"
Which of the following ways have you acquired DIY and gardening products in the past?